A while ago I dropped my DS Lite on the floor. It wasn’t a particularly long fall, but it landed completely flat, and it really didn’t sound good when it fell. Much to my dismay, after this incident it did not start again. Sliding the power switch did absolutely nothing. Trying to charge it there was no light at all, and it did not turn on with the charger plugged in. So I figured that I might as well open it up and take a look to see if perhaps it was something simple. I’m sure there are a number of things that can break when you drop your DS, so I can’t guarantee that this will work for you, but I did find this thread about a person having a similar issue. 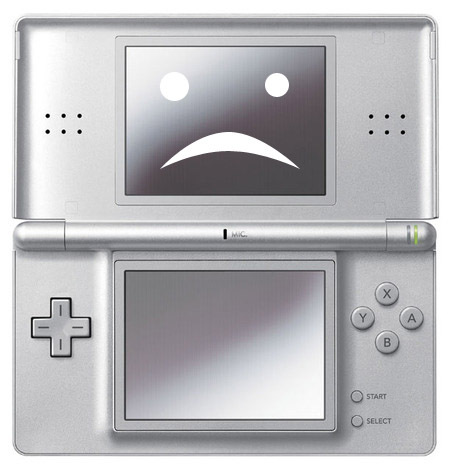 For opening the DS Lite, please go to this great thread over at GBAtemp. I followed the intructions and it was pretty easy. Just don’t make the same mistake I did and forget to take the Slot 2 card out of the DS before unscrewing the back, and remember you’ll need both a small phillips head and trigram screwdriver. 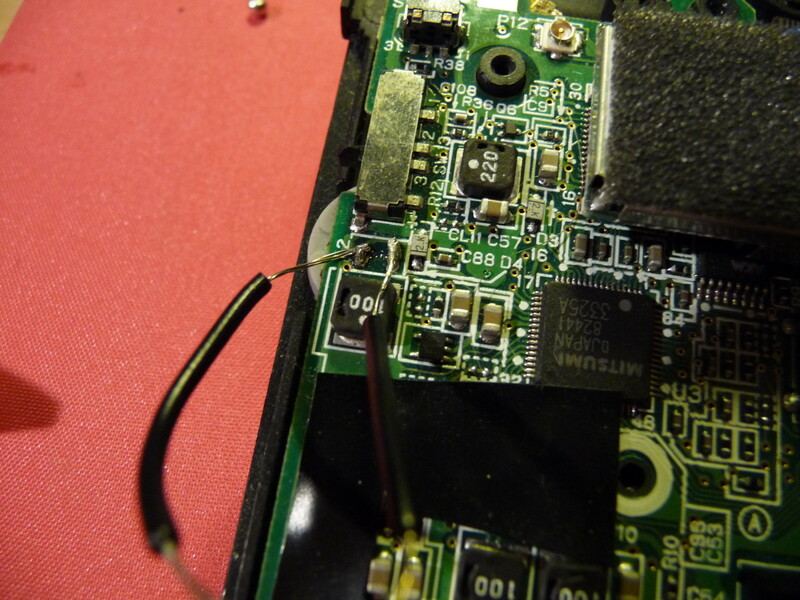 As soon as I took the backplate off, I noticed a little piece falling out – meet the resistor fuse! This is a small surface-mounted component that had fallen off the PCB, and armed with that knowledge I started looking around trying to find where it once was. 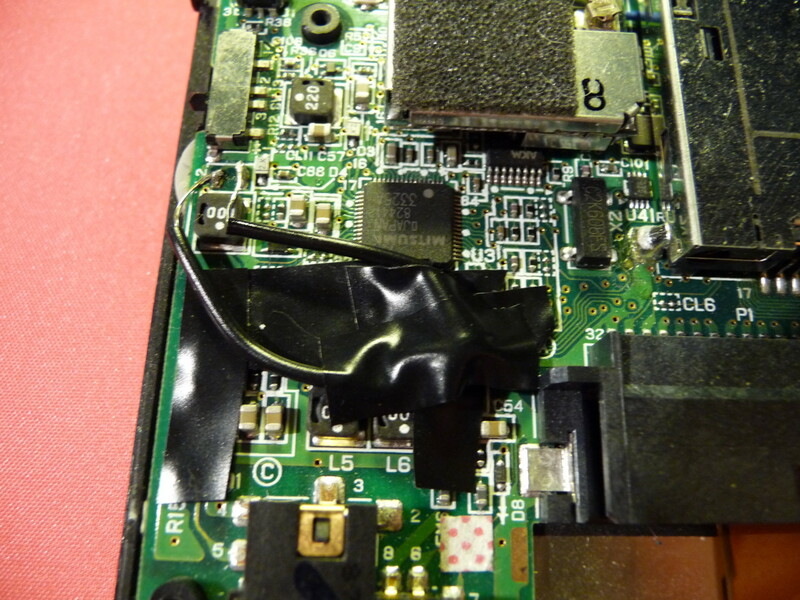 The hi-res photos of the DS Lite PCB over at the GBAtemp thread were of great help. After some time, I located the place of the component. 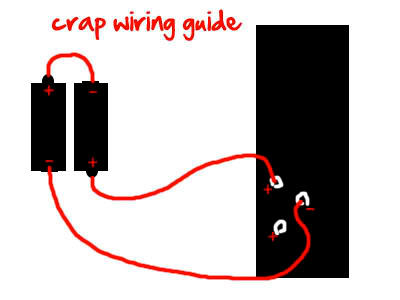 Wires, the component attached to them. At this point I tried to turn the DS on by pressing the battery against the battery connectors on the back. If it turns back on, like mine did – congratulations, your joints are working and you’ve got the DS back to life! 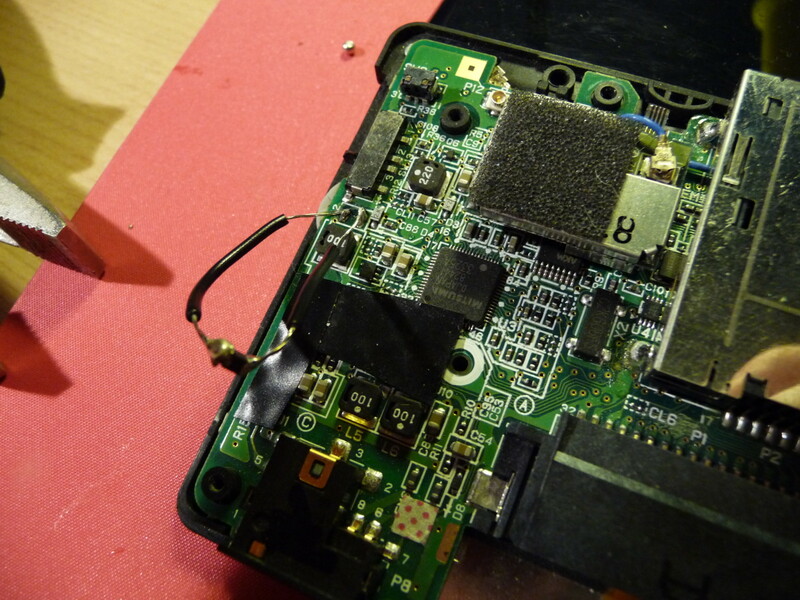 Using electrical tape, I affixed the component to the PCB to make sure it doesn’t wiggle around. I actually had to go back after this picture and remove some tape because it was just so much that I could barely fit the backplate on. 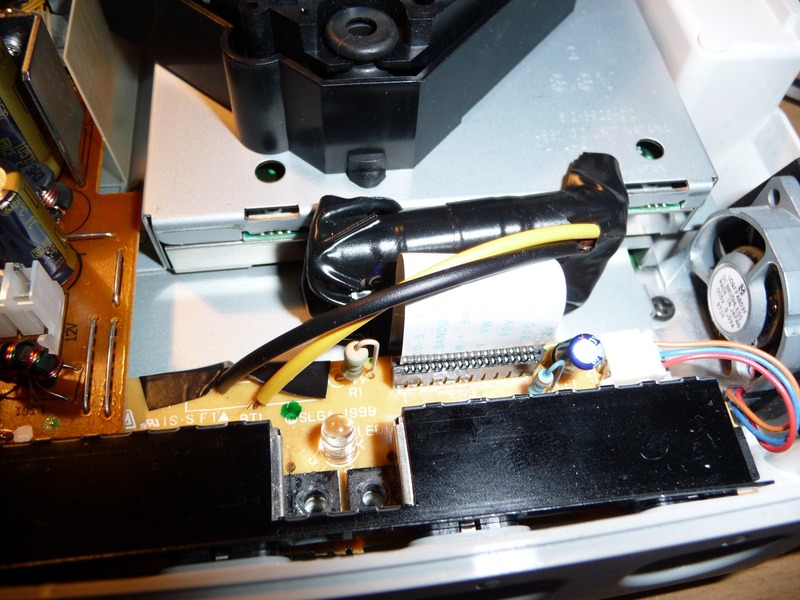 I also attached a tiny piece of tape between the connectors on the PCB, since I didn’t want them to short out if the cable twisted in some weird way. Quite a fun project. This did take probably 4-5 hours with internet research, diagnosing and soldering, but it was very rewarding. Let me know if you’ve had this problem and the fix worked for you! 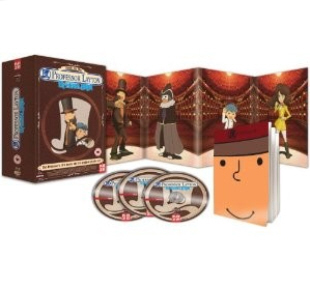 Just a couple of days left before the first Professor Layton movie comes out abroad, and with the third game coming out in English just last week I have Layton fever! I recently got a Dreamcast to play some of the unique games on the console (mainly Seaman and Samba De Amigo) and quickly noticed that the internal battery was drained which would cause the internal clock to reset every time I powered the console off. To play certain games (including Seaman) your clock needs to be fully working, so I set out to find a replacement. 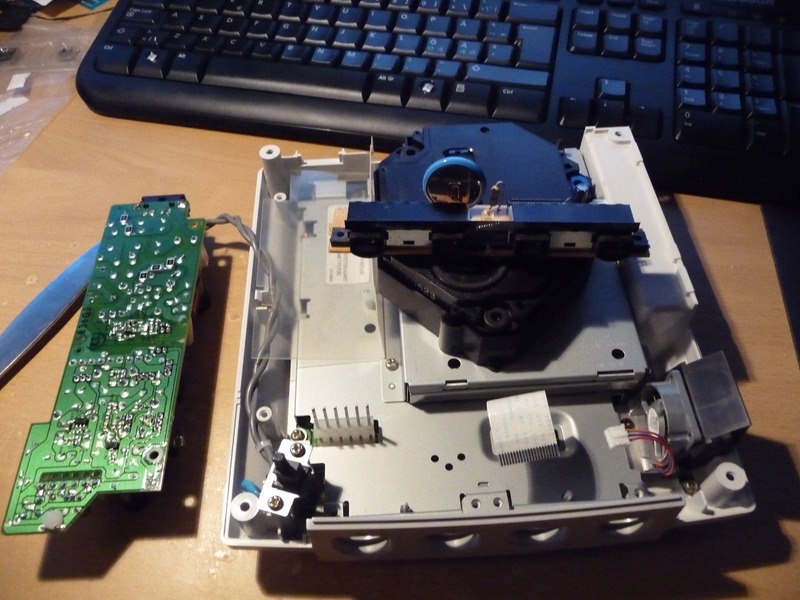 Finding information about how to replace it seemed to be simple enough, but many people seem to disagree on what kind of battery is actually in there, some claimed it to be a normal CR2032, the ones in the VMU; others claimed it was a rechargeable version, the ML2032. When I opened mine up it turned out to be a ML2430 (datasheet) which seems roughly equivalent to the ML2032. A problem is that these batteries are insanely expensive, and I’m not even sure they’re being manufactured anymore. However, we can use two cheap rechargeable AAA batteries for the same effect. Snesorama.us member shredhead posted a simple tutorial, all credits to him, I’m just adding my additional pictures and experience. If you’re looking for the long version, go ahead and read the linked post. 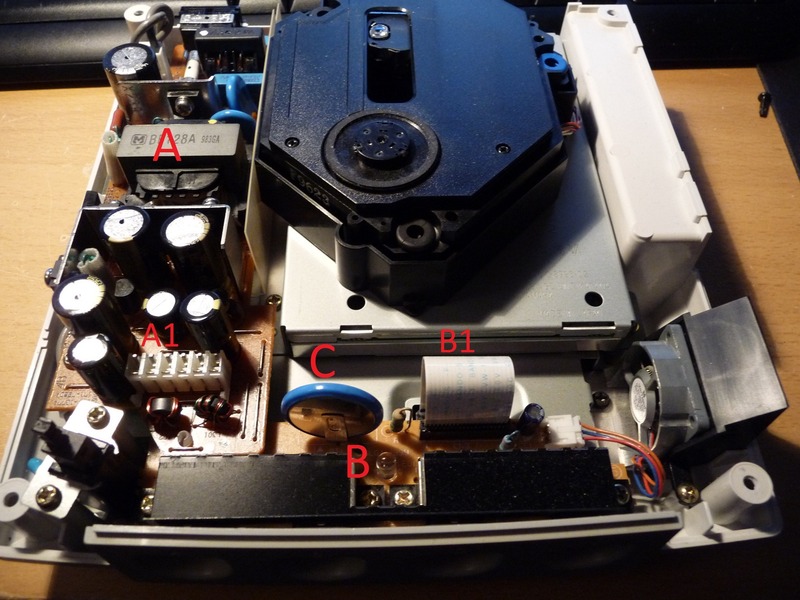 First, you need to unscrew the power supply unit (the left circuit in the picture) and lift it out. It usually sits pretty tight, so be firm but careful. 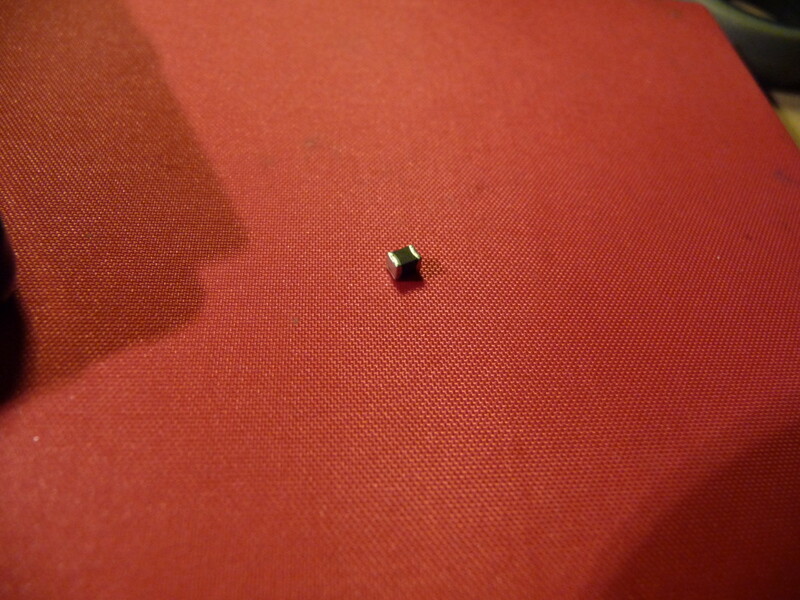 It’s attached with six pins (‘A1’ in the image) which you need to be careful not to break when you pull it. It will still be attached to the power button, so you can just leave it hanging on the side. 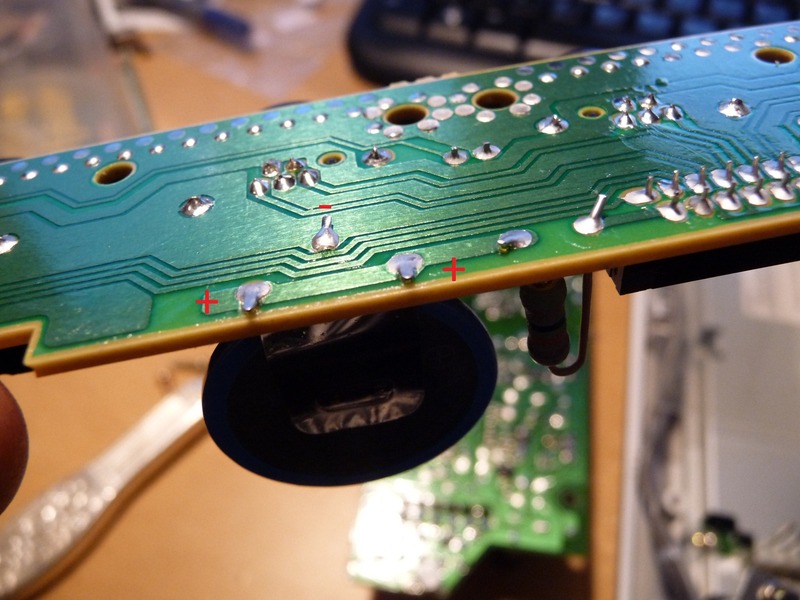 Then unscrew the controller ports module, detach the ribbon cable carefully (‘B’ and ‘B1’, respectively) and lift out the module. Also note the battery at ‘C’. Now things should be looking like the image below. Now that we have the controller module, let’s get started on assembling the battery pack. 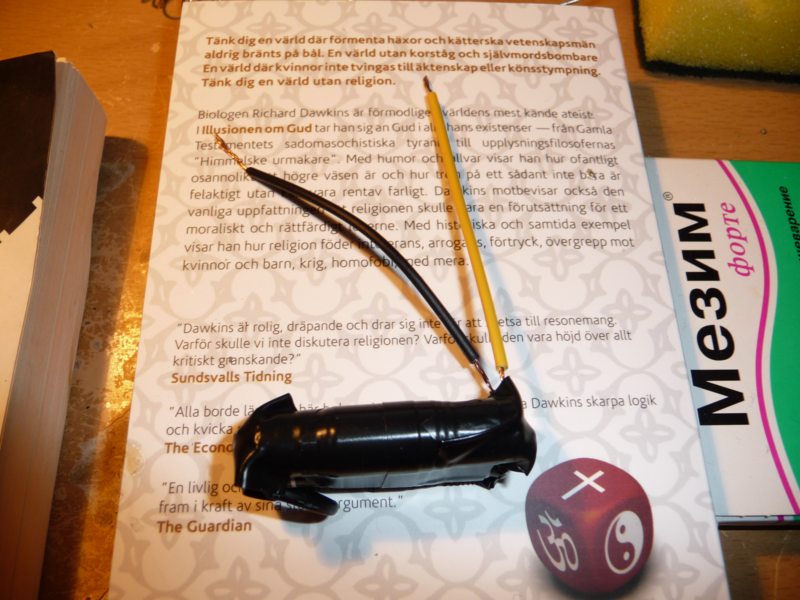 Wire the two rechargeable AAA batteries according to the guide below. Soldering on batteries isn’t the easiest of things, so I’d recommend buying special batteries suitable for soldering. (usually available in well-stocked hardware stores) but they might end up costing you as much as a replacement battery, so if you’re handy and quick with the soldering iron you’ll probably manage it just fine. Remember not to expose the batteries to the heat of the soldering iron for a prolonged time, as this can decrease the voltage you get out of them. Mine went down from about 2.5v to just below 2v (tested with multimeter.) but everything still works just fine. Assembling the battery pack and controller. Note the picture of the controller board upside down, it shows the polarities that you will need to connect. You will only need to solder one of the positive connectors. 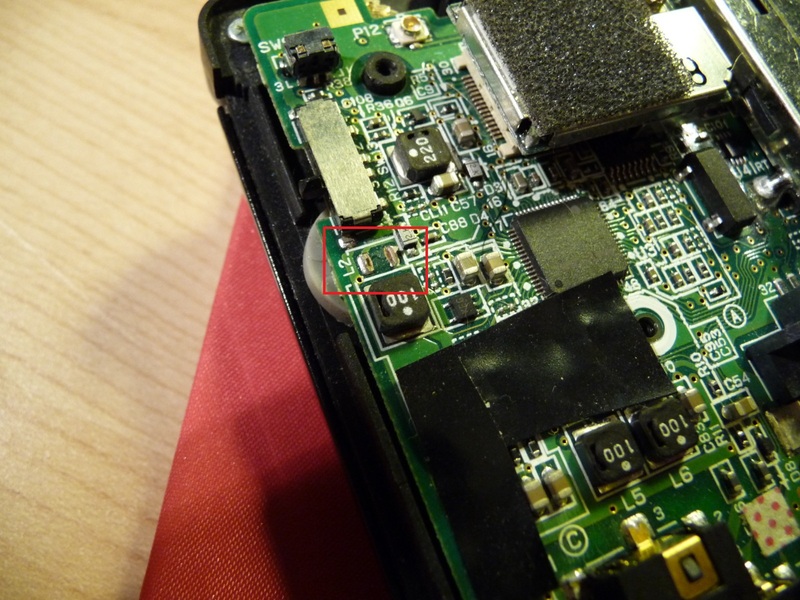 You will need to remove the old battery first by applying your soldering iron to the three points while wiggling the battery until it comes loose. The pack fits snuggly between the GDROM drive and the ribbon cable, I used another piece of electrical tape to make sure it sticks. 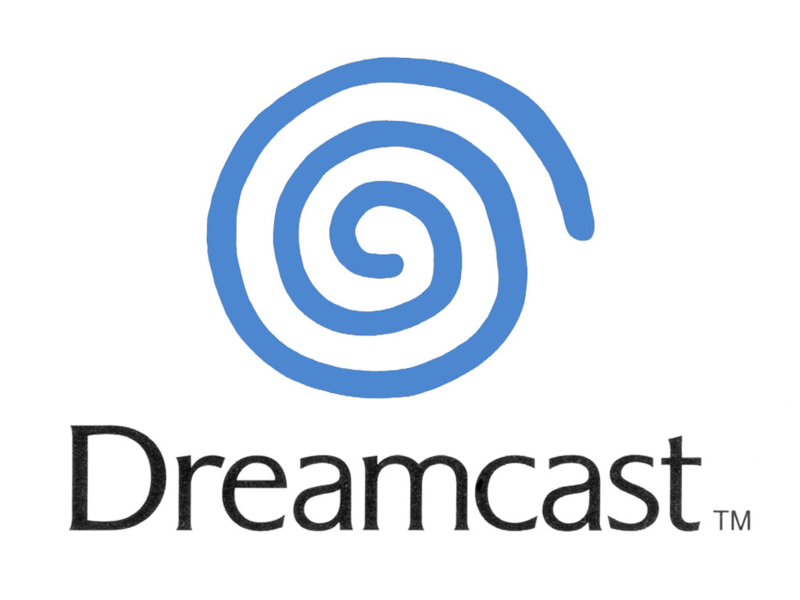 Best of luck with this mod, may it give you a reason to dust off your Dreamcast! As of recently, I hadn’t taken the step into a full-fledged HDTV experience. For me, the Xbox continued to serve as the best media center there ever was. But since my plasma is HD-ready at 720p, I decided it was finally time to upgrade. I had some old pieces from my former stationary laying around, and decided to build it into a HTPC! 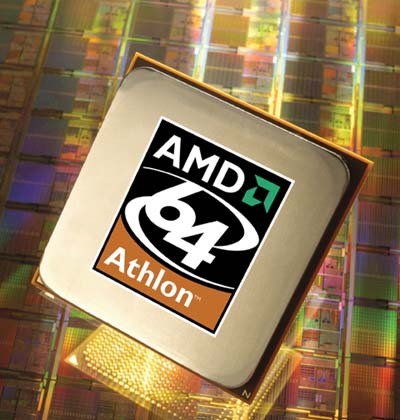 The motherboard was an old Socket 754 with an AMD Athlon64 3000+ running at 2ghz, which is really pushing it in terms of processing power when it comes to decoding h.264 (the most common video format used in conjunction with high definition video), but there was nothing to lose by trying either! So I put in 1GB worth of RAM and an ATI Radeon 9200se graphic adapter. I was lucky to have a TV with VGA in, so I didn’t have to use any form av HDMI/DVI adapters or the like. After installing Windows XP on it I immediately installed the windows port of XBMC, but was very sad to see that regular playback of a h.264-encoded 720p file was running the processor at a good 80-95%, and that’s without any excessive motion on the screen, unfortunately finding a hi-def video that tried to push the CPU to its fullest proved to be a difficult task, but it was pretty clear that the poor soldier wasn’t going to make it. 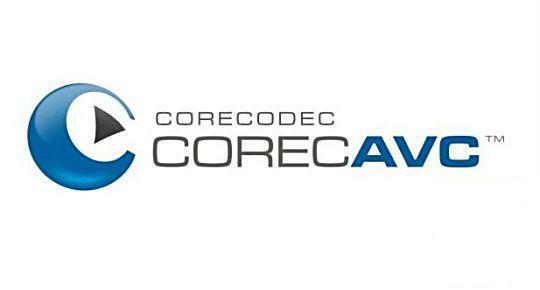 I had heard of CoreAVC, and decided to see if it performed better, as I was told that it was a far more efficient decoder than the one mplayer (which is what XBMC uses for playback) was using. Unfortunately, XBMC does not support the use of CoreAVC, and so with a little tear in my eye I set out to find a suitable replacement. I was earlier told of a windows-only fork called MediaPortal, and lo and behold – the 1.0.0 stable release had just come out! The software installed nicely, and you could select CoreAVC as the renderer for h.264 content. 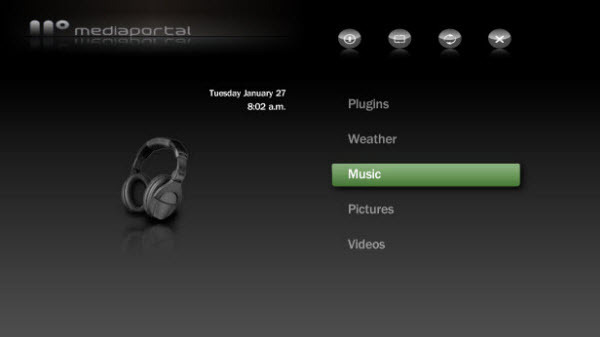 Now MediaPortal has its own flaws – despite being a direct fork of the XBMC project it has no support for playback from uncompressed RAR files. Also, subtitle support is simply broken in this particluar release, as you can not change the color or the size of the subtitles (they’re really miniscule by default!) which is outright embarrassing for a big release like this. 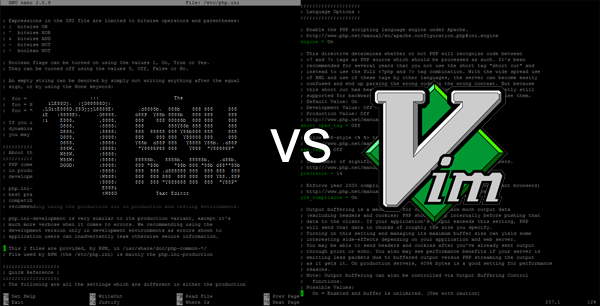 Performing new tests on the same videos now showed a CPU usage ranging from 40-60%, which was an incredible improvement, and at 7.95 USD CoreAVC was definitely worth the cost for bringing flawless 720p playback to an old struggling computer. A remote control is something no media center should be without. 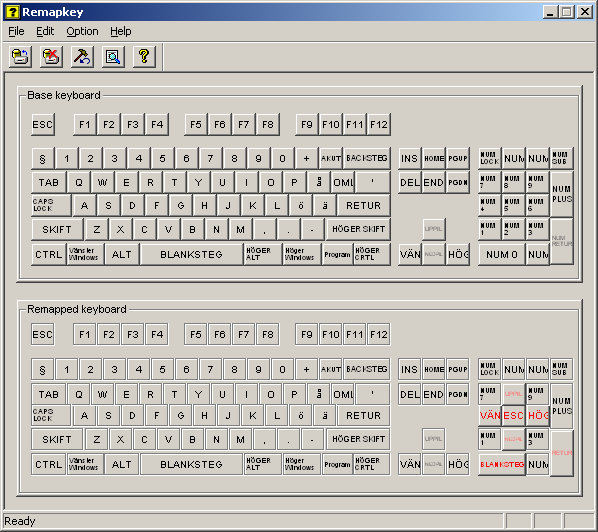 MediaPortal has support for multiple brands of remote controls, amongst them the Windows MCE Remote. Since they’re discontinued I couldn’t find a Swedish reseller and so I looked on eBay for some knockoffs, but I was afraid that there might be something that prevented it from working and that I’d have a nice 20 USD paper-weight (which wasn’t even especially heavy!) 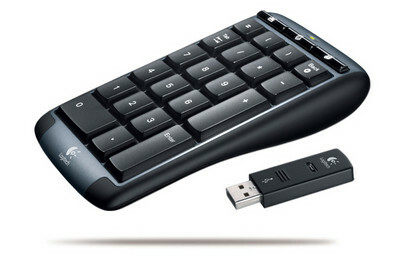 After some inspection of the market I decided that a full-fledged wireless keyboard would be out of the question too, seeing as they started at around 80 USD unless you wanted the low-end models. I was briefly looking at the Ione Scorpius P20 but was told that it had very bad syncing issues, where the receiver would lose contact with the unit itself after reboots, which would be very difficult to tolerate in the long run. Finally I arrived at my decision, a resonably priced Logitech Cordless Number Pad! Not only is it a quality product, it actually has somewhat of a remote control form factor thing going on, and it’s pretty stylish, although several people have said that it “looks like a calculator”, which truth be told isn’t really a compliment! I had some hopes that the pad would run in “no num-lock mode” and would simply convert the numbers to corresponding arrows which works great for controls in MediaPortal, but that was not the case. The solution Logitech has implemented is actually very brutal. If you don’t have num lock enabled the drivers enable them for a split second on any attached keyboards when you press a button on the unit, which you can notice as the num lock icon flashes briefly on the secondary attached keyboard. I tried using the MediaPortal configuration utility, but even after removing all mapping to the 1-9 keys it was still giving me trouble with using them as controls. After some googling I found that the easiest way would be to remap keys under windows, but the key mapping software I tried (not naming any names) did not work properly. Finally I stumbled upon the Windows Server 2003 Resource Kit Tools (mirror), which contained the wonderful Remapkeys.exe utility. Unlike the other software I tried this worked like a charm. Since my keyboard keys are named in Swedish the picture above might not prove useful to you, but I remapped the keyboard arrows to 2,4,6 and 8, space to 0 and the escape key to 5, which makes for basic operations in MediaPortal. Building and setting up a HTPC is a very fun and interesting project, not to mention that it gives you access to some high-definition glory!